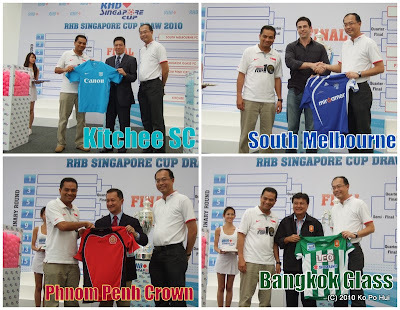 The RHB Singapore Cup draw was held at the Bukit Panjang Plaza on the Labour Day, a slight tweak in the draw venue which was held in the downtown areas in the past. Nonetheless, it was another day where local football fraternity get together for a cordial moment before later of the day they were being made know they'll be facing in this premier knock-out competition of local football. (Pictured above) The emcee hyped up the ambience with this group of SAFFC supporters before the start of the day. With the huge billboard as the backdrop, the Singapore Cup took the centerstage of the day. This group of kids held up the placards of the participating teams of this year's tournament (after some coordinating from the photographers). Performance by the award-winning cheerleading - REXAZ of Republic Polytechnic kicked-start the draw ceremony. FAS president Mr Zainudin Nordin in his opening speech highlighted that the Singapore Cup has steadily progressed to become one of the region's top club knockout competition and hopes the tournament will be engaging and exciting to the fans. RHB Bank Singapore Country Head Mr Jason Wong said he has no doubt that with the strong regional presence in this tournament, season 2010 will be another exciting season and through various community initiatives, the bank has been actively engaging with the less-privileges on top of their support in football development. The club officials and members from the media inspected the props to be used in conducted the draw. The conduct of the draw. South Melbourne is the one of the new addition in this season's competition. These models helped to attach the tag of the Victorian club as according to their number. Warriors' fans cheered as they heroes will be slated against last year's finalist - Bangkok Glass in a mouth-watering clash in the preliminary round. 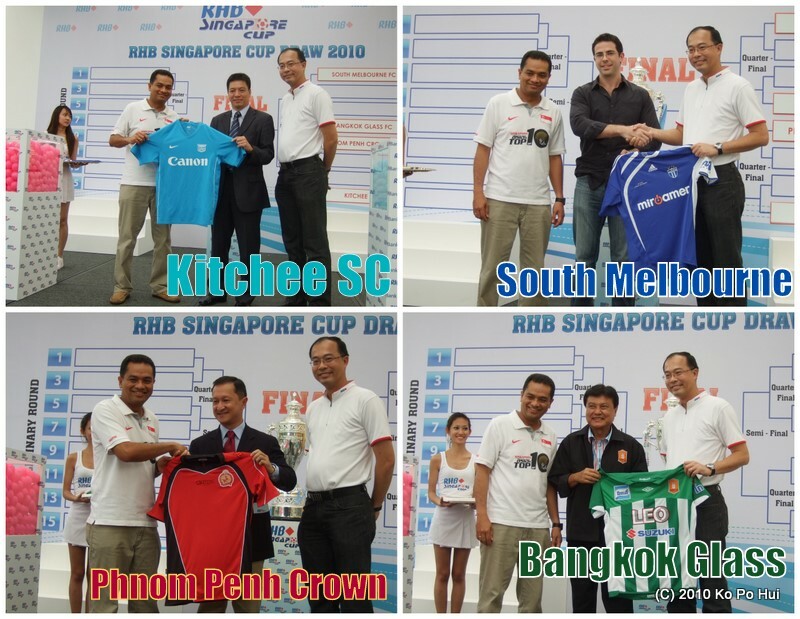 Representatives of the invited teams presented their team jerseys to both Mr Zainudin and Mr Wong. The one for the album as the clubs' representatives, the officials, etc. lined up for this photo-shot.